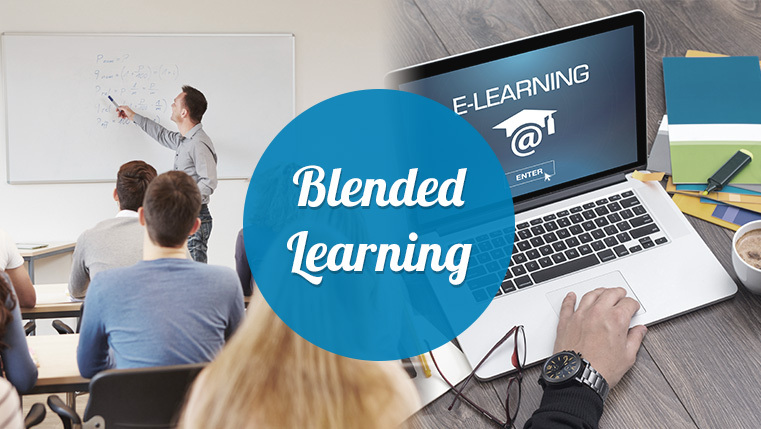 Blended learning is a hybrid of classroom training and online learning. A blended approach utilizes classroom instruction and enhances it with the technological elements inherent to online learning. A blended learning strategy can increase the motivation of your employees and increase their engagement because it includes a variety of learning approaches. It also leads to increased productivity. How Can Blended Learning Address Your Training Needs? Blended learning is a combination of instructor-led and self-paced learning methods that address your training needs in the following ways. Blended learning, which is a combination of facilitated and self-paced learning, is suitable to meet the learning expectations of a wider audience. This approach gives a greater degree of control to the employee over the pace, time, and place of learning. A company that believes employees should have a greater say in the training program will use a blended learning approach. Employees have flexibility and better opportunities for collaboration. A blended learning approach gives organizations opportunities to customize the program based on employee needs, rather than adopt a one-size-fits-all program. For organizations, adopting a blended learning approach makes it easy to schedule training for employees at different levels in the organization. The mix of training approaches makes it possible for employees to complete the training as per their schedule, owing to the convenience and flexibility it offers. The costs intrinsic with organizing a classroom training session are reduced with a blended approach. It gives companies the flexibility to train employees in a way that meets training budgets. Apart from being cost-effective, a blended approach is multidimensional because it includes a variety of instructional styles. With so much in favor of blended learning, organizations can leverage the characteristics of blended learning to benefit their employees and the business. As mentioned earlier, a blended approach gives greater flexibility to employees on how, where, and what they want to learn. It also gives them control over the learning. It was with this motive that a client approached us to develop a blended learning program for software training for their employees. The client, a biopharmaceutical firm involved in drug development and research wanted software training that was role-based, using various training methods. For the blended learning approach, the client wanted the program designed with ILT and e-learning. They decided on this approach because the training had to be delivered to employees who had different learning preferences. The idea was to give them flexibility over the time, place, and pace factors of the learning. The course design had to support a multinational training effort. Another client, a clinical research organization involved in drug development and research approached us for a blended learning program for new hire training. They wanted classroom training, e-learning, videos, and collaborative tools to engage learners. We designed some courses as ILT and some as e-learning, as required by the client. Blended learning has the potential to promote collaborative learning not only in the classroom and in virtual training sessions, but also through online discussion forums where trainers and learners can share ideas and experiences. These discussion forums give participants the flexibility to visit them whenever it’s convenient to them, reflect, and participate in threaded discussions and respond to them. Blended learning can cater to different learning styles. While some learners may prefer learning in the classroom, others would like to take an online course. When the training is available in the blended mode, learners can choose how they want to learn. For organizations, it becomes easy to tweak the training program based on the learning needs of the specific group of trainees. Another benefit of blended learning is it can work best for a globally dispersed workforce. While it may be feasible to provide classroom training for a certain section of employees, for others it is possible to provide the same training online. The advantage is that everyone can get the same level of training. A blended learning approach gives the opportunity to use multiple media resources in the course. This includes audio, video, and face-to face training. Best practices in creating a blended learning course include using a mix of visual, auditory, and kinesthetic elements. This factor makes it appealing to learners with different learning styles and ensures better training results. The characteristics of blended learning maximize its benefits for training. A hybrid approach to training employees can successfully meet critical learning objectives. Are you using a blended approach for your training orconsidering the option? Let us know your thoughts in the Comments section.